identical tiles of each of these. The one of bamboo is often decorated with a bird, the design of which often varies between mahjong sets. The ones and nines are called terminal tiles. In addition to the suit tiles, there are seven different honour tiles: four winds and three dragons. The winds are shown in the order: east-south-west-north. The dragons are shown in the order: red-white-green. The design of the white dragon varies between mahjong sets; usually it is either a blank tile or a blue frame is depicted. 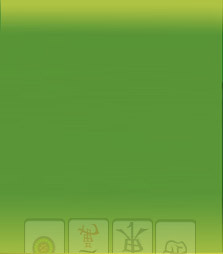 With four of each of the above tiles, a mahjong set consists of 136 tiles. Sometimes mahjong sets contain further tiles: flower, season or joker tiles, which are not used in riichi mahjong. Mahjong sets often have markers for indicating the prevalent wind and sticks used for keeping score and used also for counters and riichi bets. The set should also come with at least two dice.